Antonio Cromartie backtracked on his previous beliefs of Tom Brady and the Patriots. With the New York Jets now 4-1 following their win over the Washington Redskins on Sunday, next week's matchup with the New England Patriots will come with first place on the line. The Jets may be the Patriots' toughest test this season, as the defense will look to shut down Tom Brady and the high-powered offense. And with this battle between division rivals comes history between Brady and Antonio Cromartie. Back in 2011, Cromartie had harsh words for Brady, calling him an expletive and claiming that the quarterback pointed to the Jets sideline after throwing a touchdown pass. 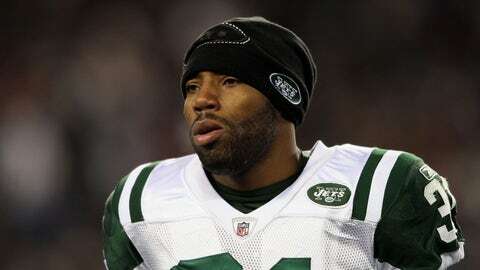 Now, Cromartie is taking a step back and has a different perspective on the Jets' bitter rival. The cornerback even had a few positive things to say about Brady and the Patriots. With regards to Brady, Cromartie clearly isn't surprised by the way the future Hall of Famer is playing. Cromartie and the Jets will get their first look at Brady and the undefeated Patriots this week in what's sure to be a hard-fought battle. The Jets are out to prove they're legit and are serious contenders to unseat New England atop the AFC East.